We wanted to remind everyone attending Celebration Chicago next week that we will have our all-new Vintage Card Back Trading Cards Series 3 available at the show for free to those that stop by at select times throughout the event. Series 3 features 14 new cards to add to your collection, bringing the total number of cards produced to-date to 34! 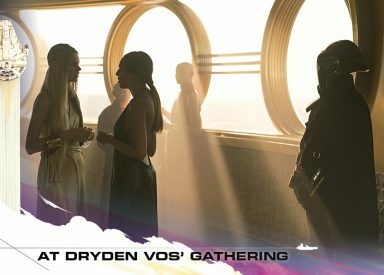 Not attending Celebration? You can pick up these and the previous series 1 & series 2 cards in our store. Don’t forget to pick up some 4-pocket binder sleeves to display these in! We designed them to fit perfectly in these sheets for a great way to display this growing collection of reference cards! Stay tuned for more reveals later today, and tomorrow we will post our full giveaway schedule for all 5 days in Chicago. Make sure you stop by and say hello! 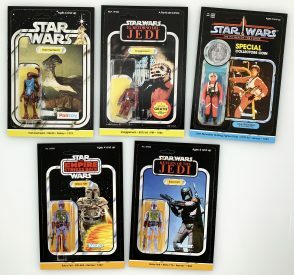 We have 5 more cards to reveal for our Celebration Chicago Vintage Kenner Card Back Trading Cards. Our Series 3 chase set will offer 1 card each day at a special location for you to hunt down (don’t worry, it will be easy). We will reveal the full schedule of when and where when we get closer to the event. For now, check out each card below. This brings the total cards produced to-date up to 34 (check out Series 3 details here). 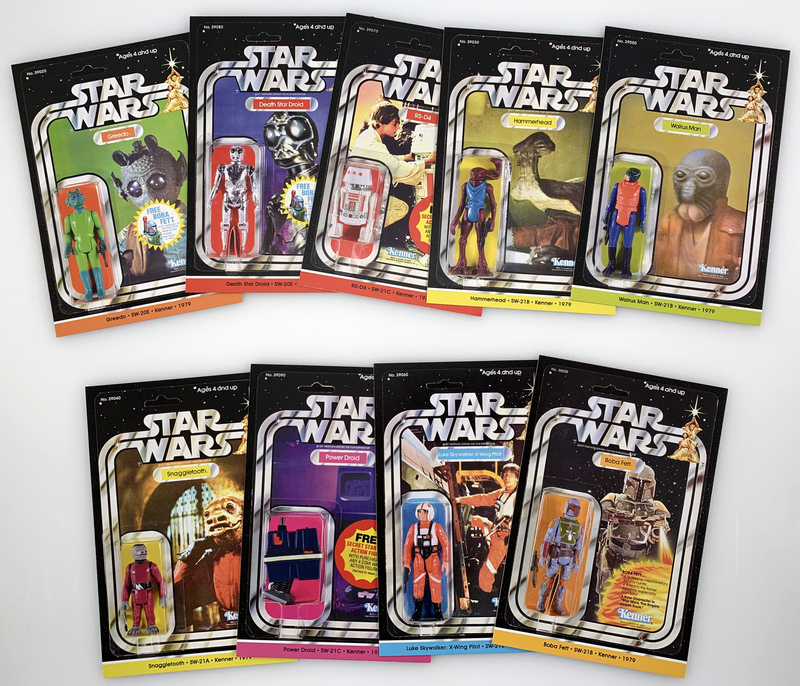 Don’t forget, for those that can’t make it to Celebration Chicago you can pre-order either the full Series 3 set or our entire set of 34 over in our store. JTA is proud to announce our third series of large format trading cards (3.5″x5.25″)! These will be handed out each day at Celebration Chicago this April. Details on when and where you can pick up the Series 3 cards will be announced as we get closer to the event. This set follows our hugely popular Series 1 and Series 2 sets that we handed out at Celebration Europe and Celebration Anaheim. As always, attendees of the event can stop by and pick these up for free! Stay tuned for more details! 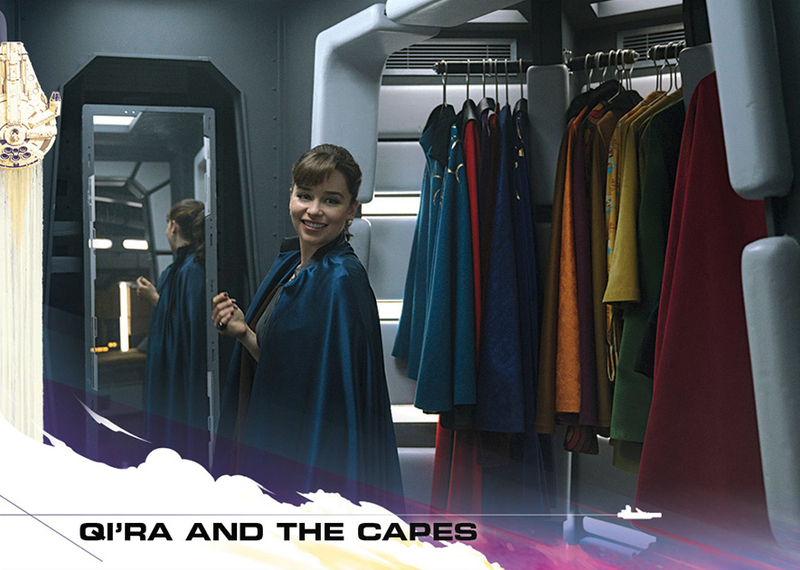 Can’t make it to Celebration? We also have the entire set available for pre-order in our store, as well as Series 1 & 2. Topps has week 13 of their limited Star Wars Galactic Moments: Countdown To Episode 9 cards now available. Tgalahis week, the featured cards are Jabba the Hutt, The Droids Arrive, and Setting Han Free. ← TVC Saelt-Marae Wave Back Up For Pre-order At Entertainment Earth! Topps has week 12 of their limited Star Wars Galactic Moments: Countdown To Episode 9 cards now available. This week, the featured cards are Stormtrooper, Loading Up Slave I, and Darth Vader’s Revelation. 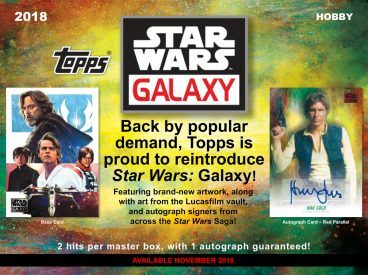 Topps has week 11 of their limited Star Wars Galactic Moments: Countdown To Episode 9 cards now available. This week, the featured cards are Yoda, C-3PO’s Unusual Escape, and I Know. Topps has week 10 of their limited Star Wars Galactic Moments: Countdown To Episode 9 cards now available. This week, the featured cards are Chewbacca, Han and Lando Reunite, and Briefing the Bounty Hunters. 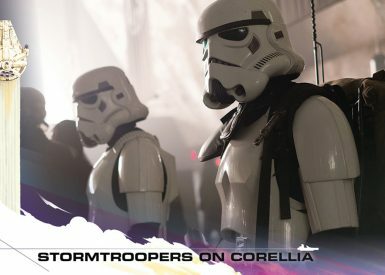 Topps has week 9 of their limited Star Wars Galactic Moments: Countdown To Episode 9 cards now available. 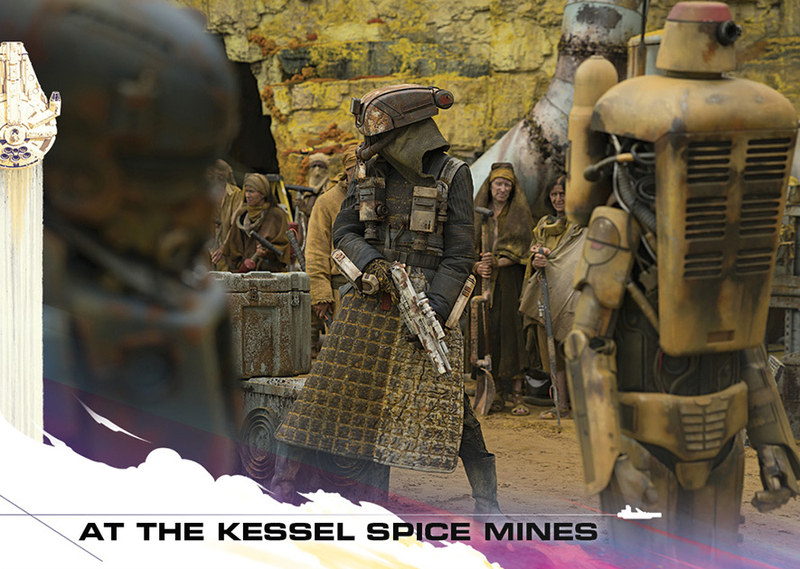 This week, the featured cards are Lando Calrissian, Meeting the Master, and Space Slug. We’re adding the latest Topps release to our Topps Index tonight, along with our box break gallery. 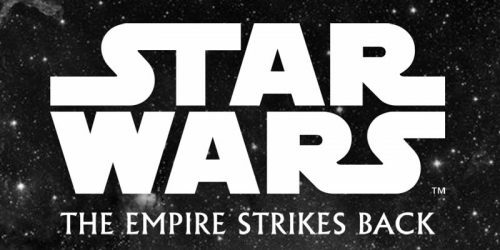 Check out the full checklist for Star Wars Black & White: The Empire Strikes Back. You can find this hobby box on Amazon, or order directly from Topps.com. 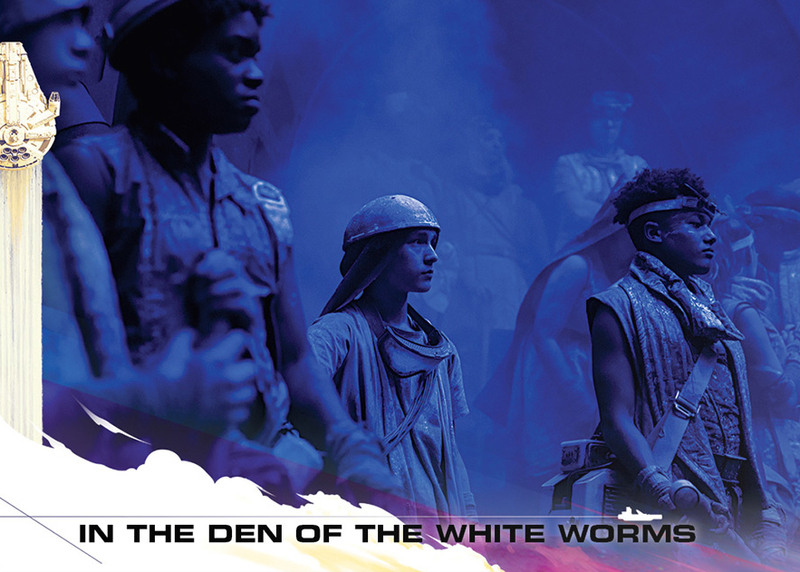 ← Massive Episode IX Photo Leak! Topps has week 8 of their limited Star Wars Galactic Moments: Countdown To Episode 9 cards now available. This week, the featured cards are Boba Fett, Storming Echo Base, and Aboard the Millennium Falcon. ← New/Re-released TVC Gamorrean Guard Comparison Shot! 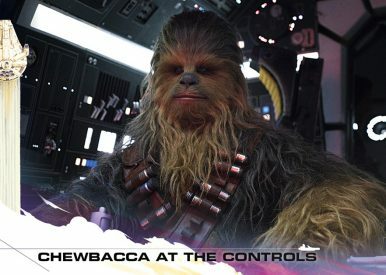 Topps has week 7 of their limited Star Wars Galactic Moments: Countdown To Episode 9 cards now available. This week, the featured cards move into The Empire Strikes Back. 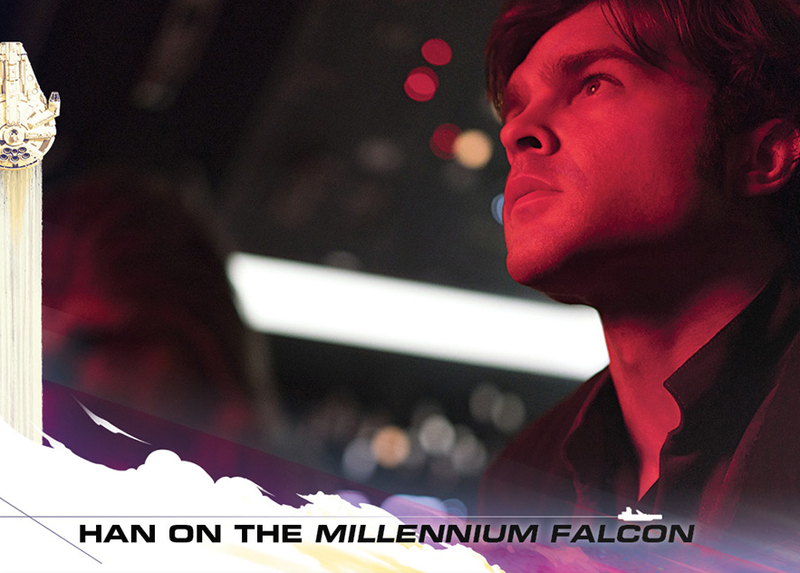 Check out Han Solo, In the Wampa Lair, and Battle on Hoth. Topps has week 6 of their limited Star Wars Galactic Moments: Countdown To Episode 9 cards now available. This week, the featured cards are Obi-Wan Kenobi, Luke Destroys Death Star, and Award Ceremony. ← Now-Canceled Solo Line Wave 4 Available At HTS' eBay Store! 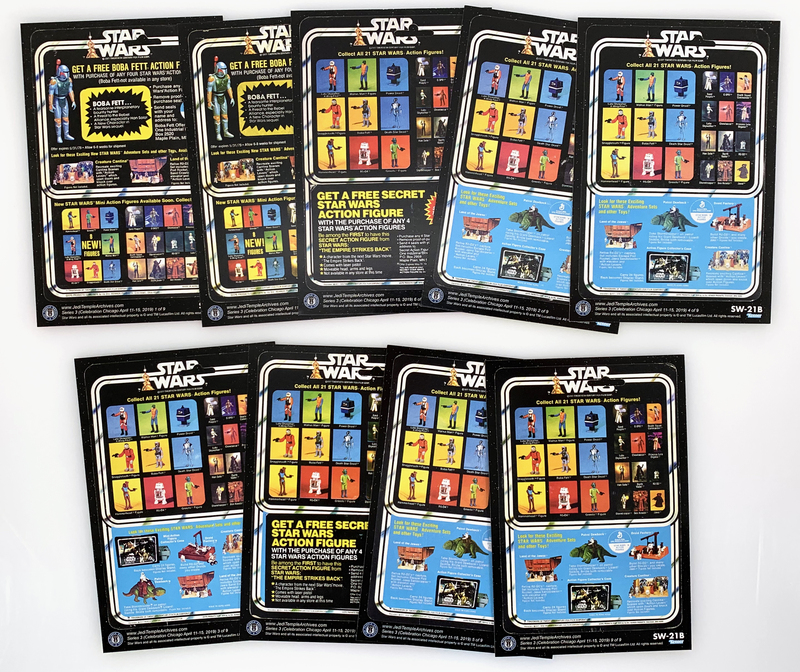 Topps has week 5 of their limited Star Wars Galactic Moments: Countdown To Episode 9 cards now available. 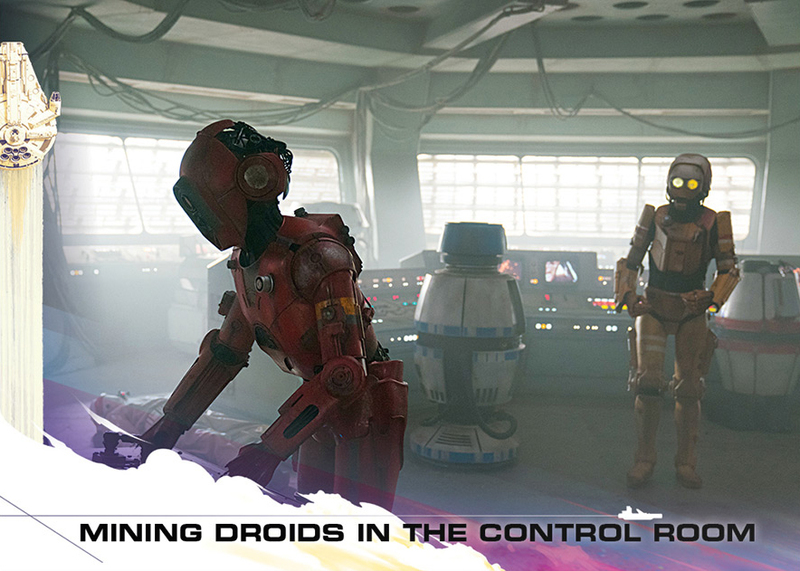 This week, the featured cards are R2-D2, Trash Compactor Escape, and Duel on the Death Star. Topps has week 4 of their limited Star Wars Galactic Moments: Countdown To Episode 9 cards now available. This week, the featured cards are Luke Skywalker (#10), Han and Greedo (#11), and The Fate of Alderaan (#12). Topps released another fan-favorite series last month and we have our card listing and box break for this set. Click through to check out the full checklist and gallery for the 2018 Star Wars Galaxy set (unofficially series 8 in the Star Wars Galaxy line). You can still shop for this series on Amazon, but it’s already sold out at Topps. Topps is getting ready to close out the ordering period for week 2 of their limited Star Wars Galactic Moments: Countdown To Episode 9 cards, with 3 new cards featured each week. This week’s cards feature Grand Moff Tarkin (#4), Princess Leia’s Plea (#5), and Admiral Motti’s Lack of Faith (#6). ← Deal Of The Day. The AWESOME Force Link 2.0 Solo TIE Fighter! 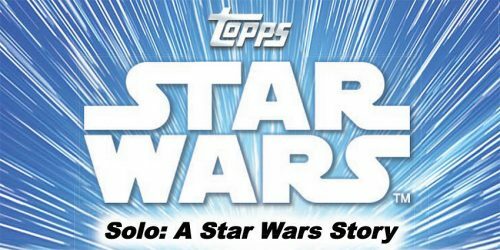 Each week in the lead up to Episode IX, Topps will release three exclusive cards highlighting the greatest moments of the saga starting today – on the one-year countdown mark of the culmination of the Skywalker Saga. 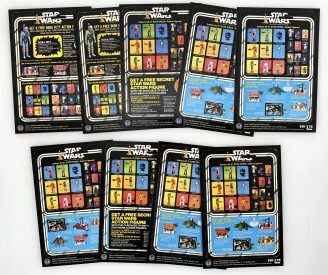 The Topps Star Wars Galactic Moments trading cards will be available exclusively on Topps.com. Click through for more details and a look at the first 3 cards. Last released in 1996, Topps recently released their latest Topps Finest collection. Click through for our full checklist guide and box break gallery. You can shop for this series on Amazon, or head over to Topps to buy direct. We’ve rounded out the Topps sets from 1995-96 in our Topps checklist archive. Click below to check each reference page out. We’ve currently added more than 30 Topps Trading Card sets to our Topps listing, and will continue to add more into 2019. Topps Star Wars Masterwork 2018 comes out on September 12th, and today Topps released the set breakdown. Click here for the full checklist. The latest addition to the Topps Galactic Files line is out now, and we’ve added the full checklist, as well as our complete box break in our Topps section of the Visual Guides. We’ve also added 2017’s Galactic Files Reborn set to the checklists as well. You can pick up full boxes over at Topps.com, as well as on Amazon. Click the banners below for each master checklist page. We’ve added the newly released The Last Jedi (Series 2) Trading Cards to our Topps listing, along with our full box break gallery. 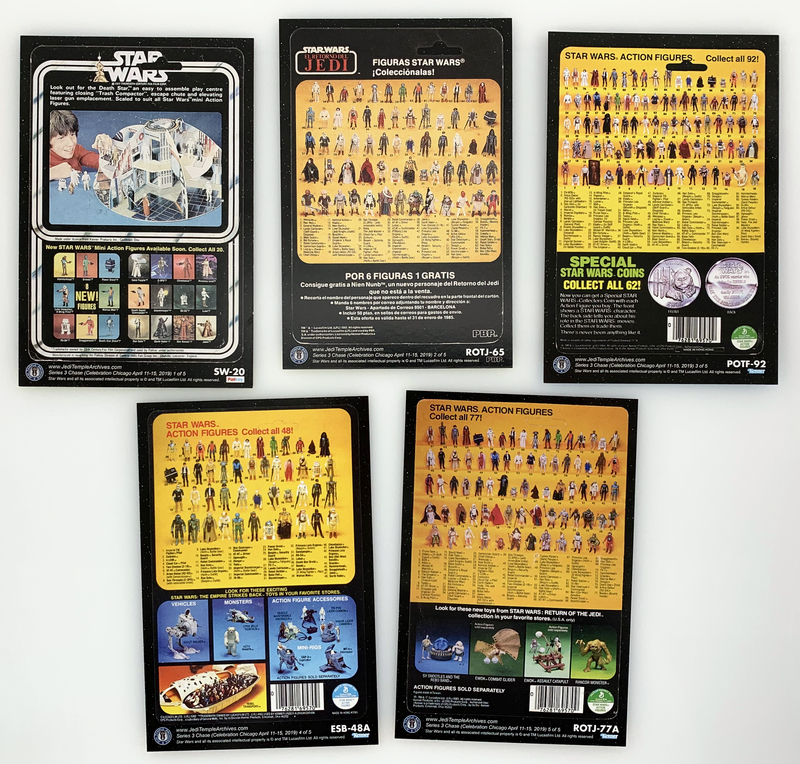 While we were at it, we also added the listing for The Last Jedi (Series 1). Topps’ longest running series gets a new release this November. Aside from the original Topps movie cards from the 70’s and 80’s, the Star Wars Galaxy series is by far my favorite, featuring unique art from across the Saga. This November, we get the latest in this series with its 8th release. Click below for the full Topps Solicitation. ← Happy Memorial Day! Thank You For Your Service! 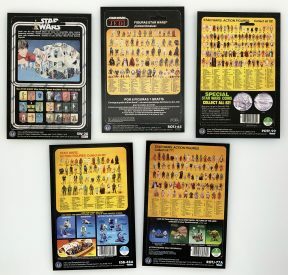 We have another set of additions to our Topps Index, this time featuring the Widevision sets from the Original Trilogy. Click below for complete checklists for these 3 awesome sets. Topps’ latest set of trading cards is officially released today. Solo: A Star Wars Story trading cards hit hobby and retail outlets. We’ve also added the full checklist to our Topps Index for future reference. Happy hunting! It’s the last card from the Countdown to Solo: A Star Wars Story set, on sale for just 24 hours. 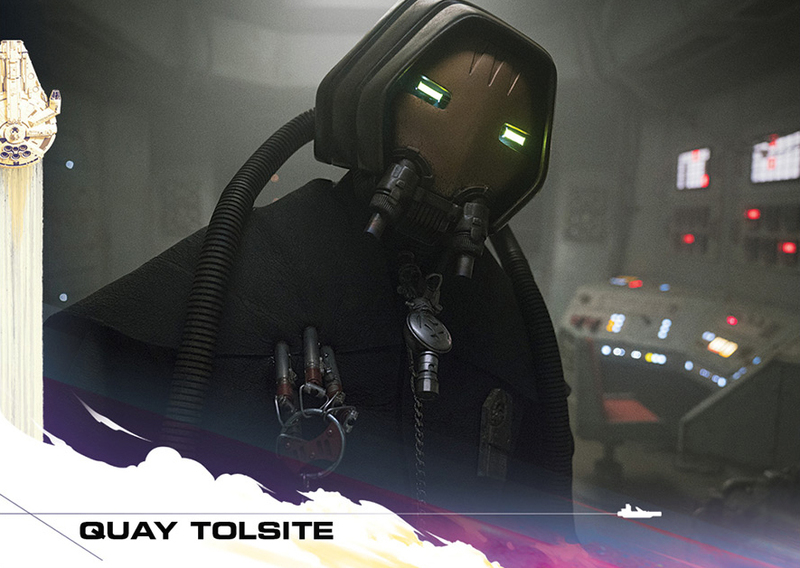 Every weekday (no weekends), Topps will release a new card featuring imagery from the upcoming Solo: A Star Wars Story. Each card will only be on sale for just 24 hours, so Star Wars fans won’t want to miss out on this unique offering. ← HURRY! TBS6 [P3] Qi'ra (Corellia) IN STOCK At Hasbro Toy Shop! ← 2018 NYTF Was The Best In Five Years, Make 2018 SDCC The Best Too! ← Wampa/Luke Skywalker (Hoth) Force Link 2.0 Set Available To Order Too!